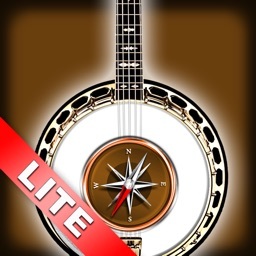 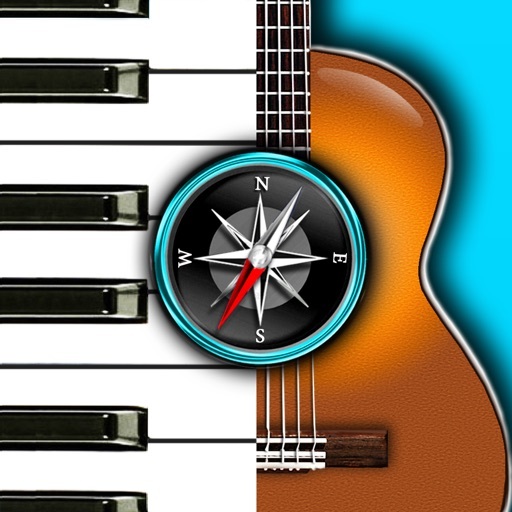 Chords Compass: find piano, guitar chords & more! 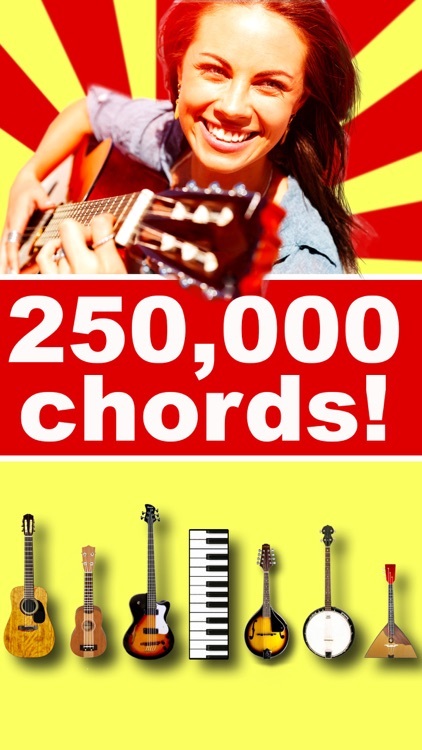 An extensive chord library with over 250,000 chords! 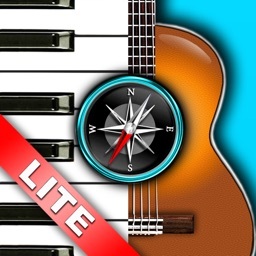 Find the perfect chords for your songs on all popular music instruments! 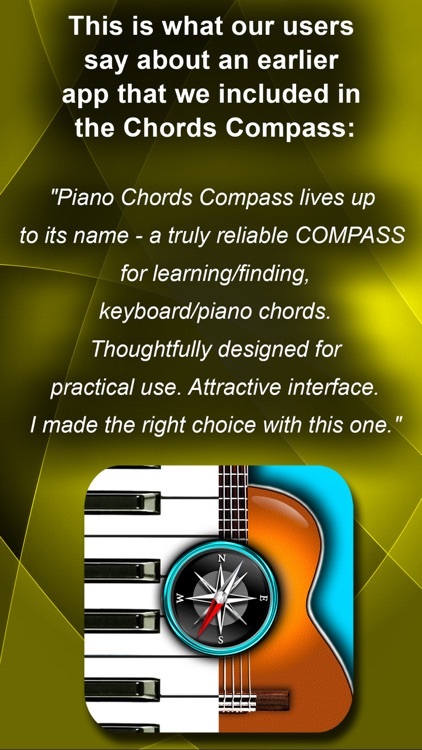 Thanks to a specially developed algorithm, Chords Compass will show you chord diagrams with all possible options in all positions on the music instrument of your choice, on keyboard or fretboard. 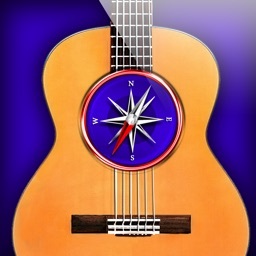 Simply select a key on the left, a chord type in the middle and a chord type addition on the right, and explore the chords with Chords Compass! 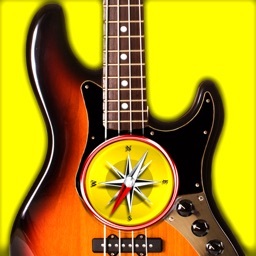 - Bass guitar: 4-String, 5-String and 6-String. 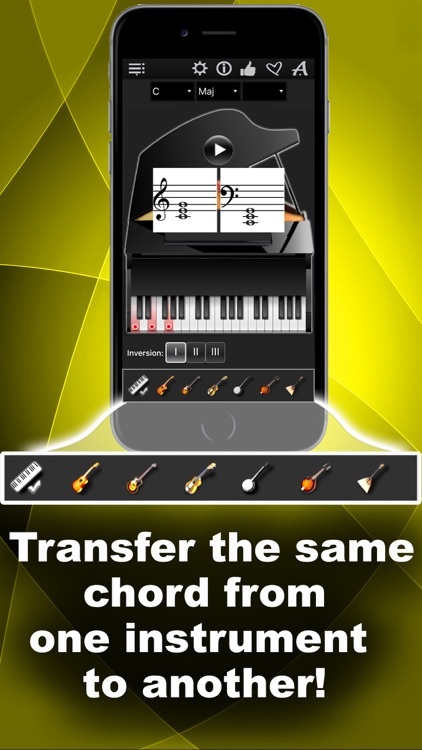 - All music instruments in the app are interconnected, and this gives you the ability to transfer the chords from one instrument to another! 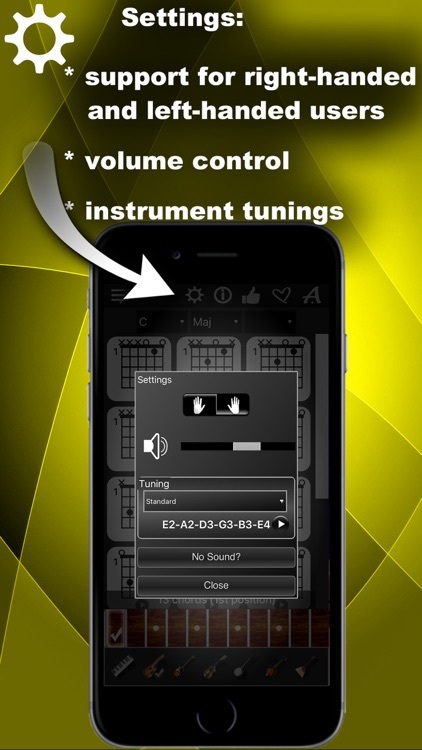 - The displayed chord type notation and chord set are fully compatible with the GarageBand smart instruments. - You can listen to each displayed chord. 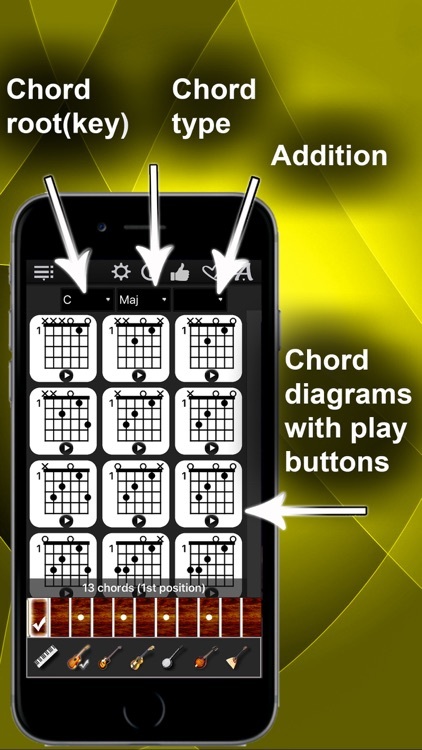 - You can see the chords as music notes and as chord diagrams. 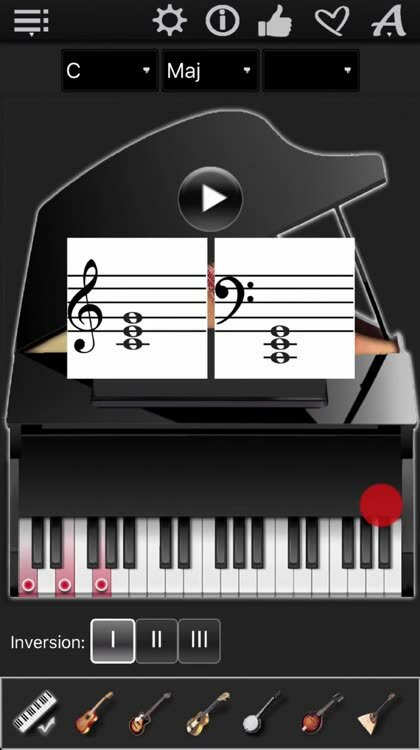 5, 5 6, 5 7, 5 9, 5 11, 5 13, 5 Maj7, 5 Add9. 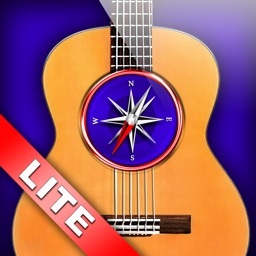 - Authentic sound for all the 7 instruments.